Centro CSO – Luchando por justicia. Los Angeles, CA – Families, union members, teachers, activists and students filled the house at local Chicano art center, Self Help Graphics, Aug. 29, to commemorate the 48th anniversary of the Chicano Moratorium Against the War. The program honored the historic Aug. 29, 1970 Chicano Moratorium, where over 30,000 Chicanos marched in East LA to protest the high casualty rate of Chicanos in the Vietnam War. Well-known journalist Ruben Salazar was killed by a n LA sheriff deputy during the protests. The commemoration was organized by Cento CSO, which continues to denounce President Trump’s threats of interventions and war against countries like Iran, Venezuela and north Korea. CSO also calls for U.S. Navy and troops to get out of the Philippines and stands in solidarity with the people of Palestine, Puerto Rico and Venezuela. Click picture to be linked to petition. CLICK HERE TO BE LINKED TO THE PETITION. In 2016 Boyle Heights experienced 5 killings at the hands of killer cops. In all of these cases, the teens and men killed by LAPD were of Chicano or Latino nationality. Since then, Centro CSO has been working hard to bring justice to each of these victim’s families, and have witnessed how our Black sisters and brothers have also been similarly attacked. This is why Centro CSO has united with Black Lives Matter – Los Angeles in pressuring District Attorney Jackie Lacey to do her job in prosecuting killer cops. Posting something on facebook or twitter will only take a second, but will mean that hundreds of people see the petition and can join our movement. Tell your friends why you decided to sign the petition and why it’s important to you – people are more likely to offer their support if they understand why the people they are close to support it too! Join the families, their friends and loved ones, whom are asking that you help support them during their time of need. If we unite against the common enemy, we become unbreakable. Support May Day 2017 in Boyle Heights! Centro CSO is a neighborhood organization; completely funded by the people. We are not a non-profit and we are not affiliated with any political parties. Centro CSO is preparing to host May Day in Boyle Heights for the third year in a row, and is humbly asking for your help! 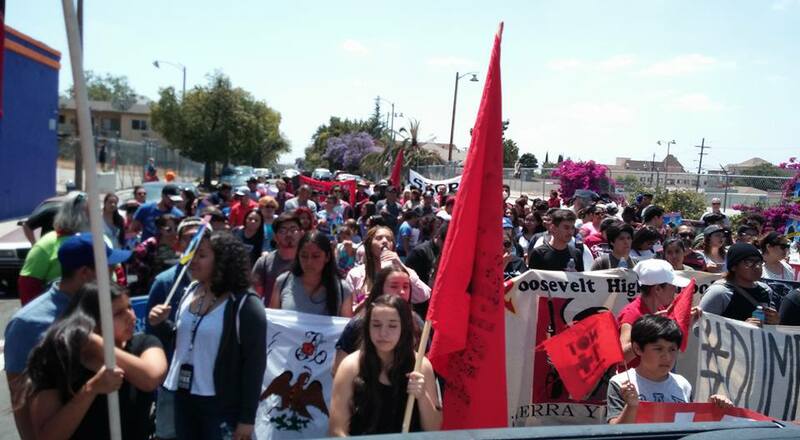 Some of our demands this May Day include: legalization NOT deportations, defend DACA, no to Bracero Programs, and no to U.S.A wars and occupations. The movement against the racist Trump administration will continue in Boyle Heights. Si se puede! 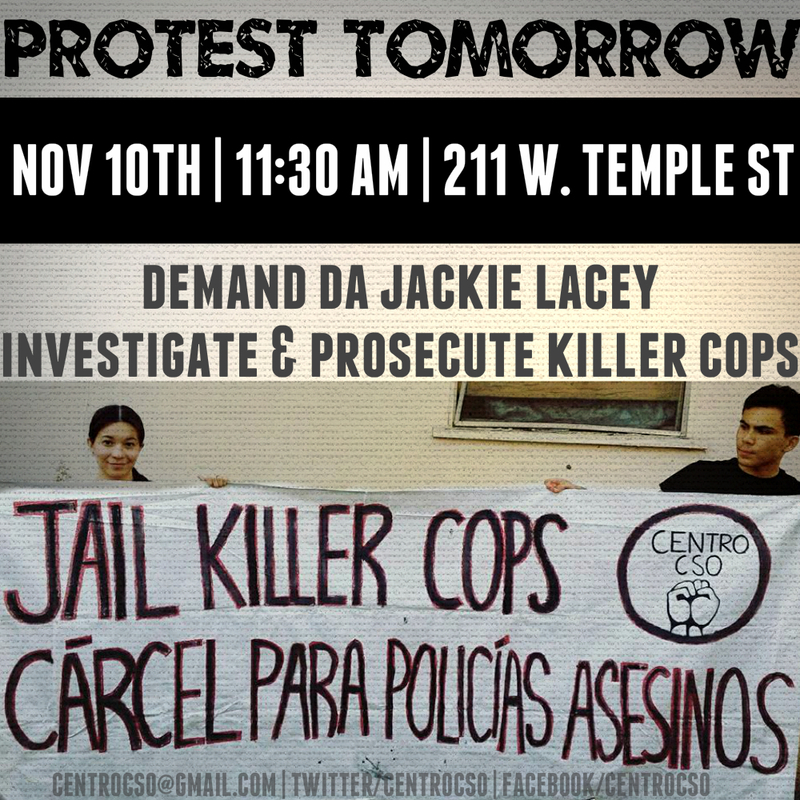 Join Centro CSO in PROTESTING to demand Jackie Lacey prosecute and jail killer cops. As District Attorney of Los Angeles, Jackie Lacey holds the power to investigate and prosecute killer cops for the crimes they continuously committ against the people. LAPD has killed a whopping 20+ (mostly) Black and Chicanx/Latinx lives; Boyle Heights itself has seen FIVE this year. This is at the old Hall of Justice at 211 West Temple st building at corner of Temple and Broadway in downtown LA. Help us demand justice, bring a poster, bring your energy! JAIL KILLER COPS! LAPD IS GUILTY. Boyle Heights continues to come under attack with the fifth killing, this year. LAPD will not stop unless we continue to fight back. Families of Jesse Romero, Arturo Torrez, Edwin Rodriguez, Jose “Peruzzi” Mendez, (and many other who have come forward since Centro CSO began organizing around these cases), will not rest until there is justice. Jail killer cops, release all videos, and justice for all of these victims of police terror. Thank you to everyone who has come out to support. We have many actions planned! The most-updated social media outlets are our facebook and our twitter. Please follow both. Be sure to join Centro CSO on August 6th for a movie night in Boyle Heights! We will be showing the movie Bread & Roses (see trailer below). There will be a potluck and a discussion after the film about joining the labor struggle as working-class Chicanos and peoples in Los Angeles. THE LOCATION IS STILL PENDING! UPDATES SOON. 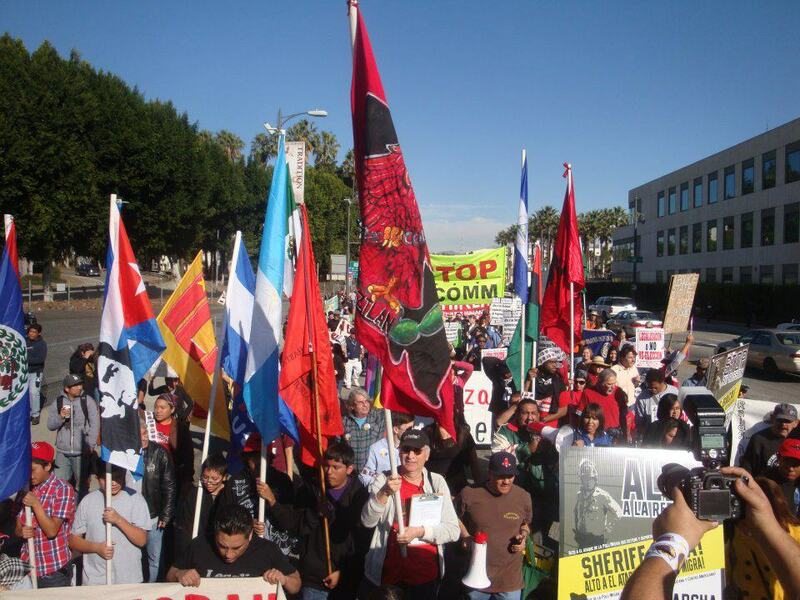 Endorse May Day – Boyle Heights! BE SURE TO ENDORSE THE MAY DAY MARCH AND RALLY! I also want to donate! Centro Community Service Organization (CSO) is gearing up for the MEChA Conference in Tucson, Arizona! Starting on March 17th – 20th, many of us are flying or carpooling there. Movimiento Estudiantil Chican@ de Aztlán; “Chican@ Student Movement of Aztlán”, the @ being a gender neutral inflection) is an organization that seeks to promote Chicano unity and empowerment. Centro CSO upholds the Chicano Nation as being Aztlán and we understand the past influences the future. We hope to report on the conference and to meet many new faces. 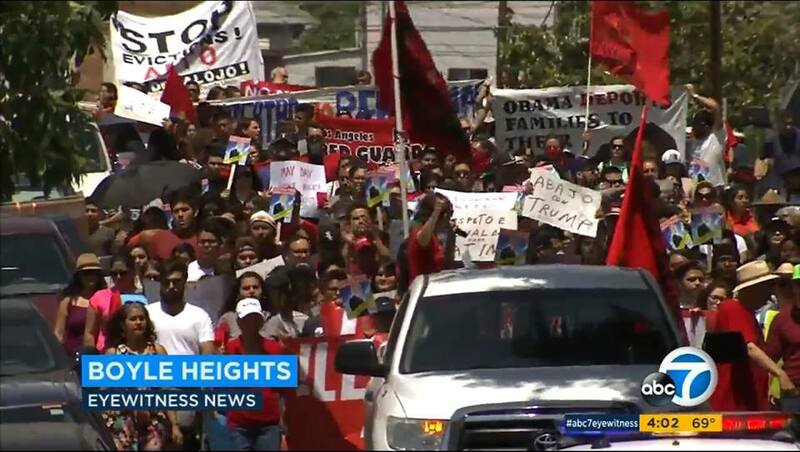 Our struggle is at home and in East LA – specifically Boyle Heights but our fight is tied to all the Chican@s in all the U.S.; those stuck in a country that never loved them, and continues to repress them in their neighborhoods, schools, streets, at their jobs, culturally, and economically. With many struggles left to win and unite under, don’t be discouraged if you can’t join Centro CSO at the MEChA Conference, we have plenty going on in Boyle Heights for you to join.